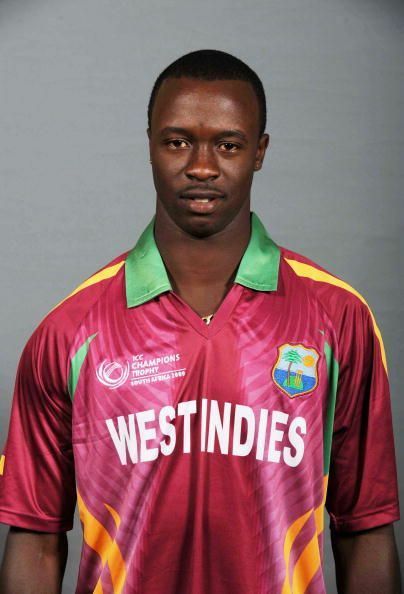 Kemar Andre Jamal Roach is a Barbadian cricketer who represents West Indies. Roach was born on 30 June 1988 in Saint Lucy, Barbados. Roach is a right-arm fast bowler, who first came into prominence at the world stage during the 2009 ICC Champions Trophy. Roach was part of the West Indies cricket team for the 2006 U-19 Cricket World Cup in Sri Lanka. He plays for Barbados in regional cricket in the Caribbean. For two years he played for Deccan Chargers in the IPL, having also played for Worcestershire in English county cricket. Roach made his T20I debut in 2008 against Australia. His bowling figures were quite decent in the match, finishing up with 2/29 from three overs. Roach made his ODI debut in 2008. Roach recorded 10–1–29–2 as the West Indies overcame Bermuda by six wickets. Roach made his Test debut in the year 2009, when the Windies played against Bangladesh. His performance was quite decent in the series, as he took 10 wickets at an average of 16.20 and was the leading wicket taker of the series. In the cricket season of 2010/11 when West Indies were touring in Sri Lanka, Roach was the leading wicket-taker in the series despite playing on pitches that weren’t best suited to fast bowlers. He took 10 wickets at an average of 24.50 for which he was named Man of the Series. In the year 2012 when New Zealand was playing in West Indies, he was again awarded the Man of the Series award for his splendid performance for taking 12 wickets with one five-wicket haul. In the Test cricket, Roach had record seven 5-wicket hauls and one 10-wicket haul against Australia in Port-of-Spain. In the 2011 World Cup, Roach became the sixth bowler to achieve a hat-trick in a World Cup. He sent Pieter Seelaar, Bernard Loots, and Berend Westdijk of the Netherlands back to the pavilion for his hat-trick and finished bowling figures were 6/27, which was the fourth-best bowling figures by a Windies player in ODIs. In the year 2010, Roach was auctioned in the Deccan Chargers team for $720,000.